The weather outside is frightening here in New Jersey, and if you live anywhere in the vicinity, you know I’m not talking about snow and ice. I mean, it…is…stifling! With the heat index making it feel like 103 degrees in the shade, even breathing this humidity-laden vapor is an effort. Walking from your home to the car or vise versa is enough to generate a steady stream of sweat right down the middle of your back. You know what I’m talking about. I mean, sweating is just gross! Right about this time of year is when I declare that I will NEVER complain about the freezing cold temperatures of winter EVER again. But, as always, right about mid-January when the yearning for snow for Christmas has passed, I will start. It’s inevitable. I mean, wouldn’t it be great to be bundled up in your cozy jacket as the temperature dips below 50 degrees right about now? Let’s close our eyes and just imagine…I’m feeling better already. Fantasy rocks! My parents were fan people. (Sounds cult-ish, doesn’t it?) In my Mom’s words, they just didn’t “care for” air conditioning. Don’t ask me why. Instead, they insisted that the “breeze” generated from a few strategically-placed fans on each floor of our split level home was enough to create a cross breeze that would cool the entire house down. My Dad served in the army infantry, therefore, somehow became an expert in the field of fan placement. Did it work? Not so much. Plus, wanting to be heard over the roar of these appliances would require a megaphone, so not much talking went on in our house in the summer. I mean that house in August was deafening! Plus, I can still recall waking up drenched in sweat since the fan breeze thing just wasn’t doing it for me. No wonder I spent most of the summer immersed in our neighborhood pool. 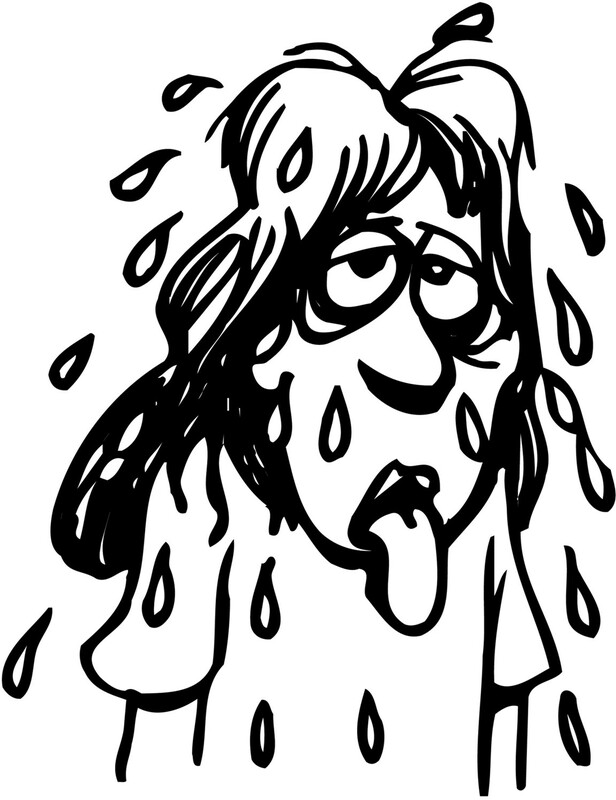 Now let me say two words that will fix this sweataphobia….air conditioning. Let’s have a collective AAAHHH!… Wikipedia defines air conditioning as the process of altering the properties of air (primarily temperature and humidity) to more favorable conditions. All I can say to that is AMEN! Alter away! Air conditioning. What would we do without it? It belongs in the same category as the little things in life that we take for granted, so let’s have these sweltering temperatures be a reminder to be grateful for those little things in life that in reality turn out to be quite large. Things like the purr of that Trane compressor blowing out its cooling breeze across our steamy bodies as we cozy up for a long summer’s nap. Give a shout out to that major appliance designed to change the air temperature to a comfortable 68 degrees. Hip hip hooray!